At an event earlier today, us here at Capsule Computers were invited down to a media preview for the upcoming Assassins Creed III game from Ubisoft. 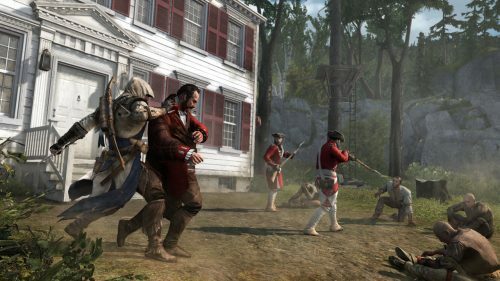 At this event, we had the opportunity to sit down and play with a build of the game that featured a new multiplayer game mode that will be included with the Assassins Creed III game. This new game mode is called “Wolfpack” and it has players teaming up to hunt-down and assassinate various Non-Player Characters within the game. 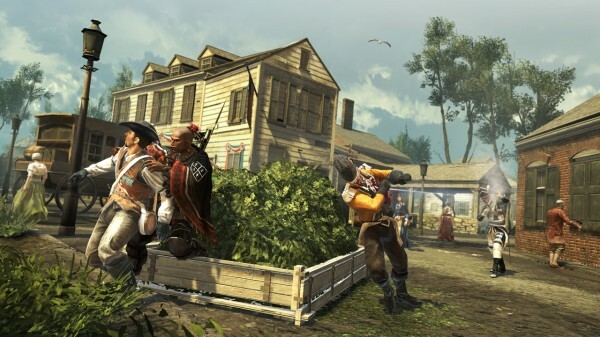 What makes this interesting is that players would have to try and synchronise their assassinations, or else they’d have to chase down their fleeing targets. This is bad for the players because they only have a limited amount of time to complete the challenge within. The idea is to move through as many levels as possible before the timer runs out. The only way to replenish the timer is to kill more targets. Of course, being the group of n00bs we were, we weren’t able to get too far into the game before losing to the timer. But watching another group playing earlier and their game ended up looking like something out of Tron, as opposed to the realities of Assassins Creed. Can I just blame the Master Control Program for making us lose all those times? 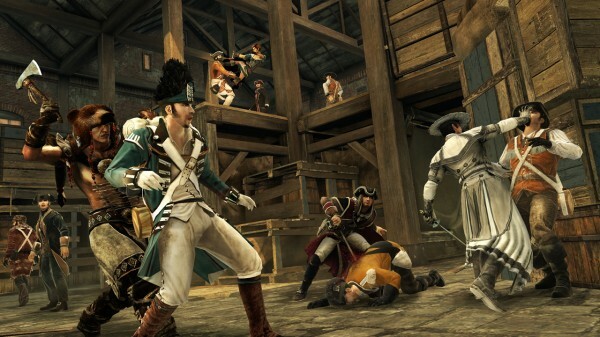 In between matches, players are taken to a kind of lobby of sorts, where they are able to customise their character by choosing from prebuilt models, add upgrades to them and even purchase goodies from the store. I’m reasonably sure this uses in game currency, but can’t back up that assertion. What I really liked about this system though, was that you are able to fiddle around whilst the map is actually loading; meaning that you’re not stuck on a loading screen and are able to do things while it loads. I think more games should do things this way to be honest. With this build of the game, we were only able to see this one game mode in action. However, we were told that the modes present in the previous Assassins Creed games would be making an appearance in this title. This means that you will be able to play all your favourite game modes from the past in this latest game as well. One thing we instantly noticed about the multiplayer portion of the game was that it was graphically inferior to the main story sections of the game. 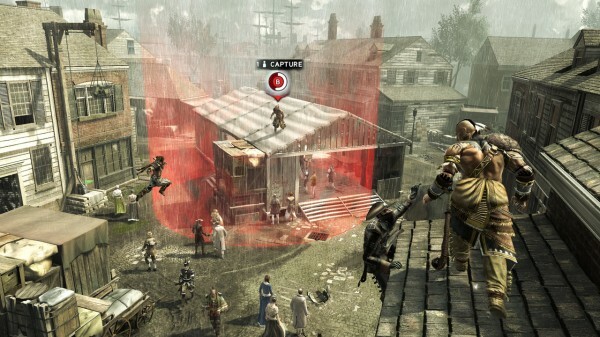 However we were reminded that this is still in development and that it is likely that things will change in the future. We are hoping that this will be the case as the multiplayer is one of the more fun aspects of this game from what we’ve played of it. This is definitely the part of the game that puts the Assassin in Assassins Creed. 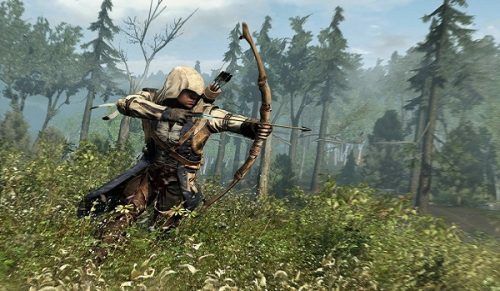 Overall I’d say that the strongest part of Assassins Creed III is definitely going to be the multiplayer portion of the game. From what we’ve seen of this one gametype, and the fact that there will be modes returning from previous games, we know that it will be a very strong multiplayer experience for gamers. If there is any reason to pick this title up on release, this is definitely the reason I would suggest you do so. In fact, the multiplayer increases the value of the game exponentially.